Here’s a photo I nearly forgot about. I took this from a Southwest flight into Pittsburgh in March 2017 as I traveled to the RPM-East meet. 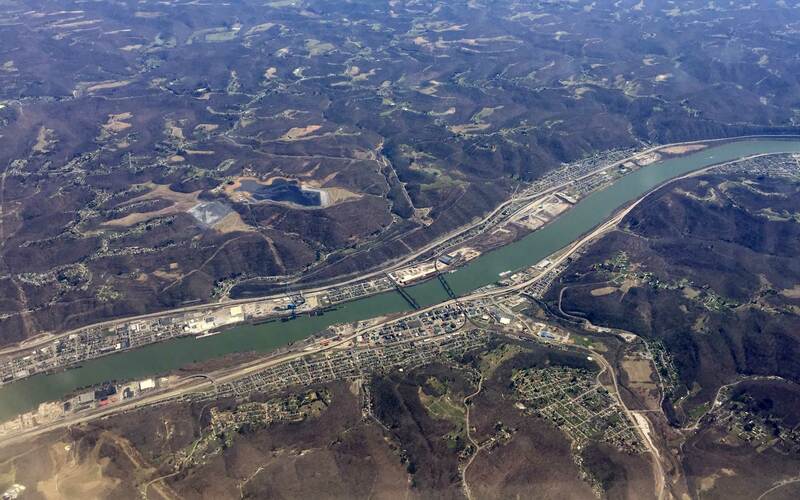 As you can see, the weather cooperated for a nice look over the Ohio River Valley. This is just downriver from Wheeling, W. Va., and where the Baltimore & Ohio Railroad crossed the Ohio River. Click on any image here to review a larger size. There is great satisfaction in completing a freight car kit that was started nearly a decade ago. This Reading composite mill gondola was recently decaled and weathered. Funaro & Camerlengo produces this HO scale resin kit with decals for Reading or Central of New Jersey owners. The kit supplied Reading decals reflected a late steam era presentation. As I model 1926, this gondola has been used in an undecorated state for awhile. Click on any image here to review a larger size.